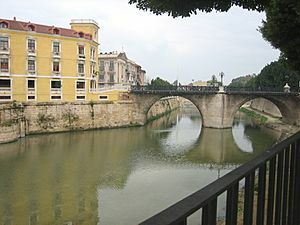 Segura is a Spanish river that is 325 kilometers (200 miles) long. It flows through the provinces of Jaen, Albacete, Murcia, and Alicante, and the cities of Cieza, Molina de Segura, Murcia, Orihuela, Rojales, and Guardamar. It then flows into the Mediterranean Sea. 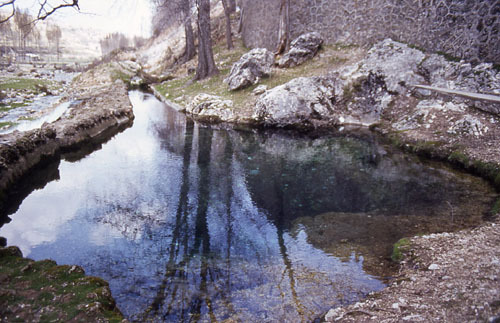 Source of the Segura River. The Vega Alta del Segura near Calasparra, Murcia, famous for its rice. The Vega Baja del Segura in Orihuela, Alicante. Segura Facts for Kids. Kiddle Encyclopedia.